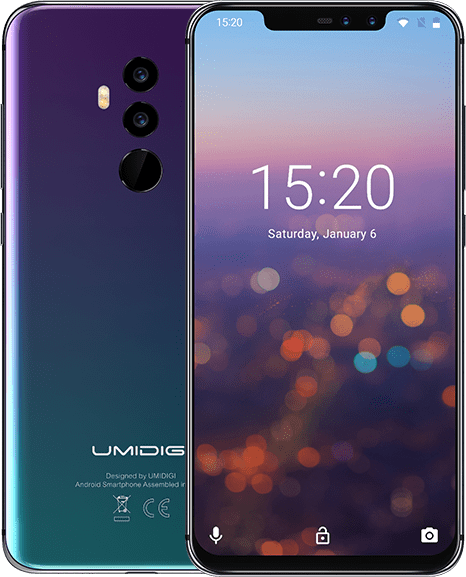 You can not but help give kudos to UmiDigi for its brilliant designs, although, it’s not something that we have not seen before, the Chinese OEM is one of the top budget option when it comes to upcoming brands with good design. It doesn’t disappoint with the UmiDigi Z2 which comes with an exquisite outlook and some good specs to go with it. 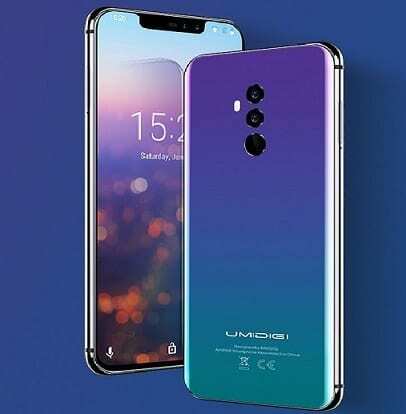 One of the selling point of the UmiDigi Z2 smartphone is its premium design combined with the fact that it has 4 cameras, double of what you find on some other smartphones. First, the UmDigi Z2 looks premium than it actually is, don’t know if that bad or good news but that is the way the smartphone looks. You’ve got a smartphone covered with glass held together in the middle by an aluminum material. There are different colour options which varies from flashy to subtle depending on your choice. From the back, it sports two cameras at the middle, one over the other with the flash underneath. On the other way round, there is large screen surface with a notch on top where there are two cameras too alongside other necessities. By today’s standard, the UmiDigi Z2 is considered a phablet with the large display that is partly because of the thin bezels and reduced chin. Giving you a 6.2-inch display backed up by an equally suitable resolution of 2246 x 1080 pixels all with a 19:9 build ratio is a good deal. The UmiDigi is not much of a power house but it carries quite an ample supply to cater for an average smartphone user. There is no wireless charging available so you will have to make do with the quick charge which takes about 80mims to reach full charge from scratch. However, how long the 3, 850mAh battery will last depends entirely on usage. Taking the dual game up a notch, the UmiDigi Z2 smartphone does not just boast of a dual rear camera but also comes with two front cameras making four cameras n total. The two cameras on both sides have the same megapixel only that they are of different make. That is a 16MP plus 8MP camera at the back and the same combination up front. In the midst of it all, you have a mediocre MediaTek chipset which is quite common in this category of smartphones. The processor is none other than the Helio P23 which clocks at a maximum of 2.0GHz. While on the graphics stage, there is a PowerVR GT71 running the show. More so, there is an impressive 64GB internal storage paired with 6GB of memory space. There is a memory card slot that can be used to extend storage to 256GB which is the highest the UmiDigi Z2 can take. The rest of the spec sheet includes an up to date Android 8.1 Oreo OS. The UmiDigi Z2 has gone on sale already with the price tag of about 90 ,000 Naira depending on your location and the deal you have.